In the summer of 1971, I was briefly under house arrest for some crime or other. Cat juggling or lighting things on fire or something equally unacceptable in the house of Jacob. My father was the disciplinarian, my mother was the unfortunate recipient of the consequences of the consequences. At the time I was listening daily to a comedy album that had impressions of Richard Nixon, Spiro Agnew and for some reason Robert Goulet singing “If Ever I Would Leave You” from Camelot. 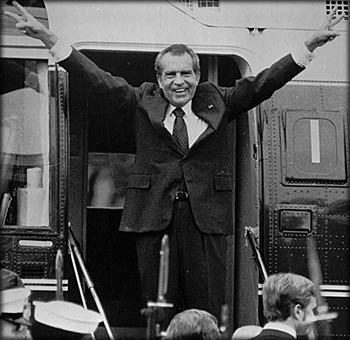 To make a long story short, I devised a plan to get out of my grounding by following my mother around incessantly repeating (in my best Nixon) “I am not a crook” while flashing peace signs and singing the Camelot song in my 11 year old’s squeaky Baritone. It worked. Why bring this up now? Well for one thing, it’s still kind of funny and for another it was deviously inspired. I conceived it, I believed it, I executed and I received instant reward. Well, not instant, it took a few hours, but I was well versed on the limits of my mother. I knew she would eventually crack and indeed she gave me early release for annoying behavior. It was also the perfect plan, as it left my father completely defenseless. It was the funniest thing he’d heard since I belched half the alphabet, so he couldn’t stop laughing as he tried to reincarcerate me that evening. In the end, I went over the wall and the guards just let me keep running. How are you inspiring yourself? I didn’t want to be inside on a fine summer day, perfectly made for wiffle ball, cat juggling and arson. I had a strong eleven year old’s motivation behind me. So, I ask you: how bad do you want what you want? Can you move through the various fears we experience in business and the arts: rejection, judgement, being too strong, not being strong enough. What will inspire you to push through those fears? What will inspire you to risk it all for what you really want to accomplish? Here’s the key; don’t look to the outside for your inspiration, IT HAS TO COME FROM WITHIN. Outside you are motivations only. Inside, well that’s another story. There lies your imagination, where you can conceive the future and the career you really want. Inside you is also the plan to get there. If you’re wondering where to look for it? That’s the easiest part of all, it’s right behind the fear. Imagination is the pure light of the soul and the soul is massive. But, fear takes up too much room and makes the soul seem tiny. Such are the seeds of defeat and hopelessness. I’m here to tell you, there’s only one way out. Inspire yourself. Push through the fear, inspire yourself and see what’s possible! You think it was easy to get out of a grounding at my house? I have news for you, it wasn’t. But, I looked deep within to my inner impersonator. I was inspired. So, get inspired. There’s cat juggling to do and only so much time to do it in. 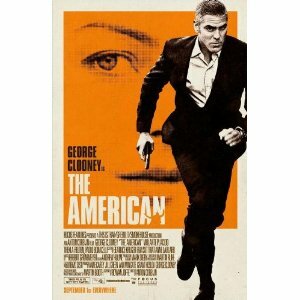 This past weekend I saw George Clooney in “The American.” Typical, hit man hiding out movie. 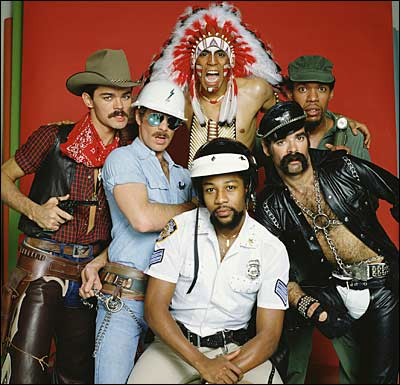 Clooney makes it pretty good I suppose, but we’ve seen it before. Something vaguely philosophical struck me about it though. Clooney’s character is hiding out in this little French town waiting for some bad guys to come looking for him (which of course they do) and he spends a great deal of time peering around corners. 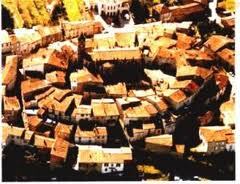 You’ve never seen a town with more corners by the way. It seemed fairly obvious that if he went running around the corners he’d get shot, so he crept and peered and alternated with lots of peeks over his shoulder. We encounter corners in life all the time. Right now, Adrienne and I are struggling with being empty nesters. Our youngest just moved 3000 miles away to go to school in New York, and well, here we are looking at each other asking “what now?” As we turn this corner what will it mean? Yeah, there's a few corners in this town. Should we sell the big house now? It’s really not a good time but we could. It’s just two of us wandering around in this place yelling to each other from end to end. What moves could I, should I make in business? I’m not rushing out of work at odd times to the kids games and recitals anymore. I could use the extra brain power to expand and at the same time be more efficient. Here’s what really strikes me though: not so much the big corners that we face, like the ones that I’ve been talking about, but the small corners that we avoid everyday. What if I really let my feelings be known? Will that create a big corner? What if I take a small business risk? Will that turn into a big one? I’m beginning to believe that avoiding the small corners in daily life leads to great unavoidable big ones where the stakes get higher. Ones with hails of gun fire. Avoidance really is the enemy here. As in: don’t put off to tomorrow what you can do today, for in one way or another avoided issues or tasks tend to grow into situations where our ability to control them evaporates. So make the one call, send out the one promo piece, write out your goals for the next year. Educate yourself by doing a little research on what practice could get you to the next level. You can peer around the corner, sure, but then go forward. Make your move even as the bullets ricochet off the pavement. Oh, and you’re right, there are only more corners ahead. That’s life. But, if you handle those small corners one at a time as they come, perhaps those big ones won’t seem so ominous and paralyzing. And trust me, no matter how many corners you face, there won’t be as many as George faced in that freaky little town. It was ridiculous, the corners had corners, and then those corners had corners too.